Cape Breton was originally claimed as part of the New France colony (Acadia) which also included New Brunswick and Nova Scotia areas. The French named the island "Ile Royale." They used mostly as a resupply base for fishermen and for hunters and traders. James I claimed the whole area as part of a greater Nova Scotia in 1621. The stage was set for a long running dispute. Competition between England and France raged through the seventeenth and eighteenth centuries. They occupied the island in 1711. 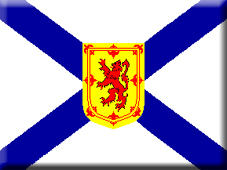 At the end the war of the Spanish Succesion, the English were to gain control of the neighbouring Nova Scotia in 1713. By the terms of the Treaty of Utrecht, Britain received Nova Scotia whilst France retained New Brunswick and the two islands of Prince Edward and Cape Breton. On this latter island, the French built the formidable Fort Louisbourg to try and keep the St Lawrence waterways open. This fortress was finally to fall in the Seven Years War that would mark the end of French power throughout Canada. A French garrison was established in the central eastern part at Ste-Anne before relocating to a much larger fortification at Louisbourg to improve defences at the entrance to the Gulf of St. Lawrence and defend France's fishing fleet on the Grand Banks. Disaster was to befall the French as the result of the Seven Years War. After a long and determined war they would see their foothold in Canada be destroyed by General Wolfe. At the end of the war, the French agreed to leave all of Canada for good. Although of course the majority of the French settlers remained. 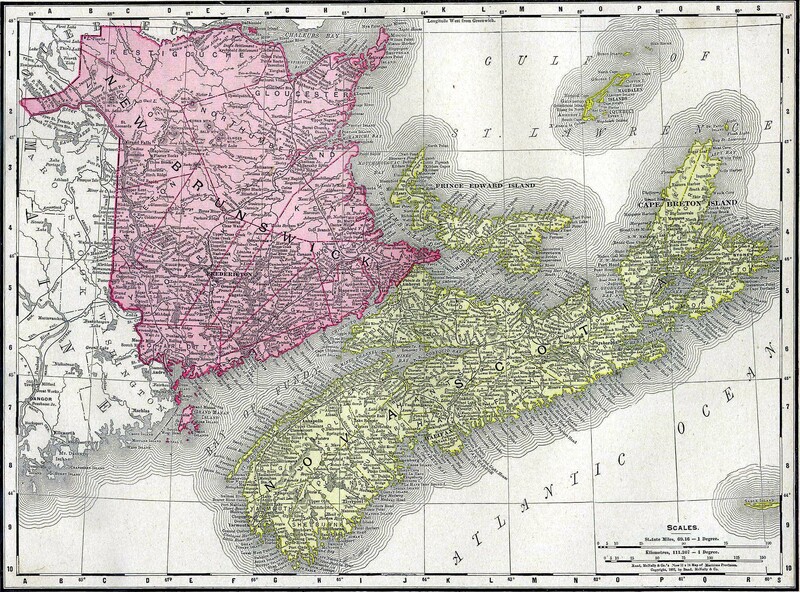 Originally Cape Breton was subsumed into a greater Nova Scotia along with New Brunswick and Prince Edward Island. However, the authorities found it difficult to govern these areas from Halifax and so split them up again in 1784. Cape Breton became a separate colony from this date until 1820 when it was remerged with Nova Scotia. This was partly as a response to the 1812 - 1814 war with America when it was felt that the smaller colonies were too isolated and weak to withstand a determined American assault. Cape Breton's Acadians would be joined by a huge influx of Scots due to the Highland clearances of the Nineteenth Century. 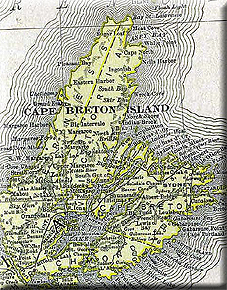 Cape Breton would join the Canadian Federation as part of Nova Scotia in 1867.